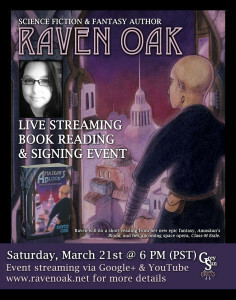 If you missed the book reading & signing event in Seattle last month, catch me at the virtual event. 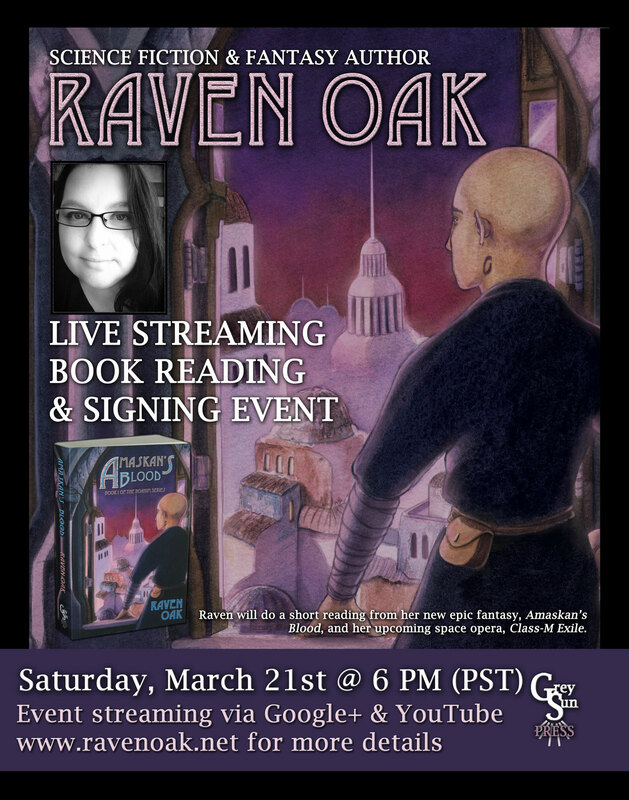 I’ll be reading from my Amazon bestselling fantasy, Amaskan’s Blood, and my upcoming sci-fi novella, Class-M Exile. I will also do a Q&A so ready those questions! Click one to view the event page. Event will be recorded so if you miss it, you’ll be able to catch it via YouTube later. Feel free to send in your questions at raven [at] raven-oak [dot] com.